Do you want to stay up to date on all the latest form related statistics? If you’re looking to grow your small business, and use online forms to drive traffic, generate leads, and convert site visitors into paying customers, it’s important to know the most important online form statistics and facts so you can get the results you want. That said, combing the internet looking for the most accurate and recent form statistics is a waste of time, no matter how helpful those stats may be. That’s why we’ve done the work for you! In this article, we’ve compiled a list of 101 amazing online form stats and facts so you can stay on top of the latest trends and make sure your small business is successful. Now, let’s check out these awesome online form statistics and facts! Attracting people from various channels (such as search engines, social media, and advertisements) and driving them to your website to see what you have to offer is one of the most effective ways to turn site visitors into subscribers and paying customers. You can use any number of WordPress lead generation plugins to boost your lead generation efforts. In the meantime, here’s a list of some stats and facts that demonstrate the importance of lead generation. 2. 50% of marketers say inbound marketing strategies, such as onsite forms, are their primary source of leads. 3. Companies automating lead management see a 10% increase in revenue after 6-9 months. 4. 74% of companies use web forms for lead generation, with 49.7% stating their online forms are their highest converting lead generation tool. 5. Only 25% of leads are ready to advance to sales. 6. Outbound leads cost upwards of 39% more than inbound leads and aren’t nearly as effective. 10. 85% of marketers claim lead generation is their most important content marketing goal. 11. Lead generation is among business’ top three objectives when it comes to content marketing (along with sales and lead nurturing). 13. 70% of the links people click on are organic, while 70-80% of people ignore paid ads while using a search engine. 14. Search beats social media by 300% when it comes to driving traffic to content sites. 16. 50% of people are saying that case studies are the accelerant for moving people through their sales funnel (which are great content upgrades to offer subscribers). 18. 3% of your target audience is actively buying, 56% aren’t ready, and 40% are getting ready to begin. 20. Lack of resources is the biggest obstacle for 61% of businesses wanting to generate more leads. 21. 58% are going to increase their lead generation budget. 22. One out of 4 marketers have no idea how to gauge the success of their lead generation efforts. 23. 97% of B2B businesses believe that Email is the most important form field for gathering quality leads, followed by Name (92%), and Company (79%). 24. Webinars are the most popular gated content on registration forms, followed by whitepapers and eBooks, free trials, and one-on-one product demos. 25. Despite mobile traffic accounting for nearly half of all internet activity, 45% of businesses are unclear about their mobile marketing efforts. 27. Using a CRM system is said to be beneficial for determining lead quality according to 84% of companies. Email is one of the best ways to reach out to interested site visitors. You can keep them updated on newly published content, special deals and promotions you’re running, and new product launches all through email. And you can even automate the process to make things easier on you and your team. And the best part is, WPForms makes collecting email addresses for your email marketing efforts simple and easy. Just create a simple contact form (or any other type of form for that matter) and add an email signup checkbox for site visitors to select so you can send campaigns to them, drive traffic to your site, and re-engage people after they’ve left your site. 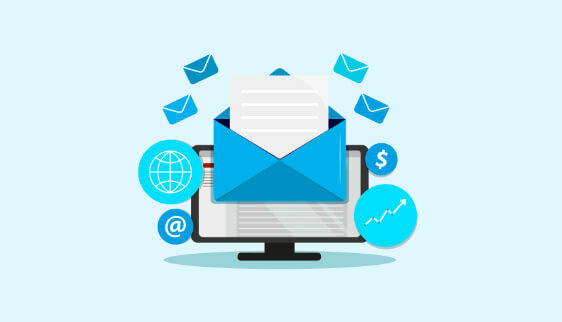 Now let’s look at some of the best email marketing stats and facts as they relate to your business as a whole and your use of online forms to capture lead data and market to your target audience. 3. 58% of online shoppers’ first online activity of the day is checking email, followed by a search engine or portal site (20%) and Facebook (11%). 4. 77% of people prefer email over social media or other channels for receiving promotional material from businesses they’re interested in. 5. 66% of those people state they’ve made a purchase as a result of the marketing message they received. 6. 44% of people look to their email for a deal first, followed by company websites (43%), search engines (6%), and Facebook (4%). 9. Lead nurturing emails result in an 8% CTR, whereas general emails have a 3% CTR. 12. 51% of businesses state that improving contact data quality is their biggest barrier to email marketing success. 13. Email marketers claim email list segmentation, individualized email messaging, and behavior triggered emails are the most effective strategies for success. 15. Another 33% of people say they aren’t even sure how to implement audience targeting and segmentation strategies. 16. 59% of B2B marketers believe email is their most effective channel for generating leads and revenue. 18. Only 44% of businesses use a lead scoring system. 20. 45% of form data is submitted on a mobile device, enforcing the idea that the user experience of your online forms is key to higher conversions and collecting accurate data. The most common type of lead generation tool among small business owners is a web form. They are easy to add to your website, can capture any information you need from site visitors, and are customizable to match your brand. 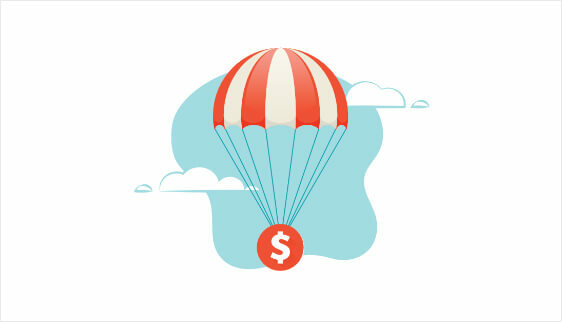 Plus, they offer site visitors an easy way to subscribe or buy from your company. Here’s a list of helpful online form conversion statistics and facts designed to show you the importance form conversions have on the success of your business, and how design and functionality can affect your overall conversion rates. 2. The mean conversion rate for online forms sits at approximately 21.5% (though this number varies depending on industry). 3. Running A/B tests, analyzing form data, and checking the user experience all correlate with higher form conversions. 4. Multi-step forms convert 86% higher. 5. Only 40% of marketers claim to use multi-step forms, and 17% that do claim they are the reason for their satisfaction when it comes to lead generation. 6. 50% of marketers who use lead magnets to encourage signups report higher conversion rates. 7. eBooks are the most popular lead magnet amongst subscribers, with 27.7% of marketers using them. 8. 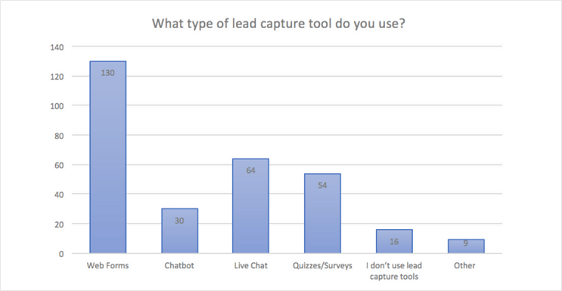 Other popular lead magnets include webinars (24.9%) and free tools (21.3%). 10. Increasing your value proposition and adding trust signals can boost conversions by as much as 60% or more. 11. Using a quiz-like form to capture information has the potential to triple conversions. 13. Left aligned labels increase readability and boost form conversions. 14. Labels on top of form fields lead to higher form completions. 15. Removing as little as one form field can boost form conversions by as much as 26%. 20. Chrome has the highest conversion rate at 17.8%, with Firefox at 17.3%, Internet Explorer at 15.9%, and Safari at 14.3%. 21. The peak time for form conversions is 9pm, signaling people prefer to finish completing forms (especially order forms) from the comfort of their own home. 22. Instilling a sense of urgency can boost a person’s desire to complete a form. Form abandonment is something all small business owners struggle with at one point or another. Luckily, arming yourself with the essential statistics and facts like the ones we’ve rounded up can help you discover reasons why your forms may not be performing as well as you want and make improvements that can increase your form conversions and online sales starting right now. 2. 29% of people site security reasons as one of the main concerns when it comes to completing online forms, followed by form length (27%). 3. More than 67% of site visitors will abandon your form forever if they encounter any complications; only 20% will follow up with the company in some way. 4. 30% of people will return to complete a form if there’s something in it for them such as a free tool. 5. 19% of people will return to complete a form if the company reaches out to them through email or phone to re-engage them. 6. Only 44% of businesses send an email receipt to customers, email verification (38%), or promotional emails (22%). 7. 3% of people prefer to fill out forms on mobile devices as compared to 84% that prefer a desktop or laptop. 8. 13% of people will never fill out an online form because they want to fill out physical copies. 10. On the other hand, 50% of employers claim the length of their job application forms are effective at weeding out applicants that don’t want to finish. 12. The travel industry has the highest form abandonment rate at 81%, followed by nonprofits (77.9%), finance (75.7%), and retail (75.8%). 14. Forms with dropdown form fields have the highest form abandonment rates. 15. Asking for a phone number reduces form conversion rates by as much as 5%, followed by street address (4%), a person’s age (3%), and city and state (2%). 16. 37% of people will abandon a form asking for their phone number, unless the field is optional, which nearly doubles completions. 18. 2-column forms are confusing and can lead to form abandonment. 21. Better checkout design can reduce form abandonment by as much as 35%, which translates into nearly $260 billion in recovered orders. 22. 35.6% of people trust the Norton Secured trust badge, making it the most recognized and trusted. 24. Of those 49% that started filling out the form, only 16.5% completed it. 25. 23% of people will not fill out your checkout form if you require them to create a user account. 26. 12% of people will abandon a form during an online checkout if there are no trust badges. And there you have it! 101 online form statistics and facts to help your small business rise above any challenge and succeed this year, whether your focus is on lead generation, email marketing, boosting form conversions, or preventing form abandonment. If you’re a small business without an online form solution, be sure to check out these reasons why you need a contact form on your site and how WPForms is customizable enough to meet your every form need.